RIVERTON — The orange barrels are finally gone after more than a year of constant construction along one of the busiest south valley travel corridors connecting Salt Lake and Utah counties. 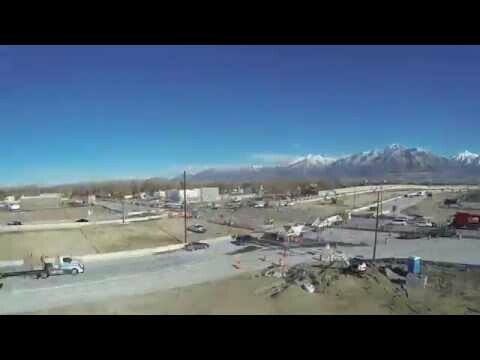 Traffic flows much more freely these days at the intersection of Bangerter Highway and Redwood Road on the border of Riverton and Bluffdale. The Utah Department of Transportation officially completed a 13-month, $42 million project that reconfigured a heavily traveled intersection and installed a new interchange. The roadway serves as a major route for multiple south Salt Lake Valley and north Utah Valley communities. Riverton Mayor Bill Applegarth noted that the new interchange would greatly improve traffic safety in the area and reduce congestion. In addition, it would be a welcome conduit for economic development locally. The Bangerter Highway and Redwood Road Interchange Project was an effort to address immediate and long-term traffic needs on Bangerter Highway, explained UDOT engineer Marwan Farah. UDOT estimates the intersection handles about 75,000 vehicles per day and that number is expected to double by 2030. The project added a bridge overpass on Bangerter Highway and installed an additional lane in each direction on Redwood Road connecting Riverton and Bluffdale. The surrounding communities continue to grow at an accelerated pace, and the improvements in the area will increase mobility, reduce idling emissions, improve safety and provide a more efficient commute for years to come, Farah said.